The best place to rent stand up paddle boards on St. Pete Beach. 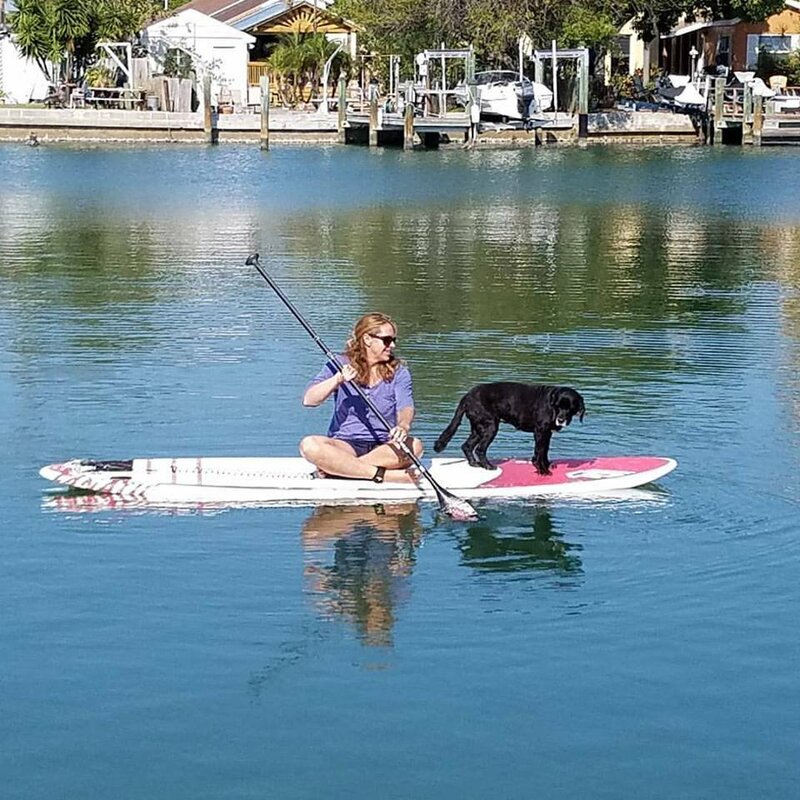 St. Pete Beach and the Tampa Bay area are fantastic places to paddle, with lots of water to explore and sea creatures to view, especially from the vantage point of a stand-up-paddle board! With a Stand-Up Paddleboard (or SUP), you can take a leisurely cruise in the bay, learn to surf in the Gulf or get a great workout on the water. North Beach Windsurfing can you get you out on the water with gear that is guaranteed to enhance your fun. 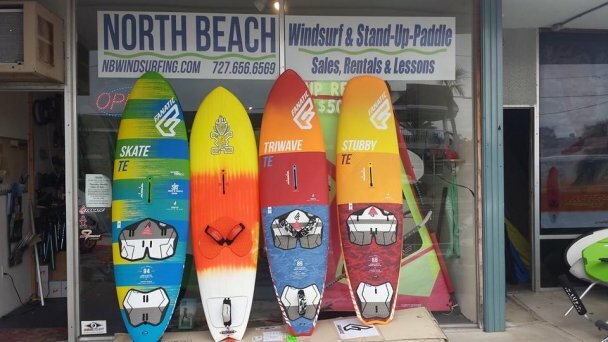 Check out the stand up paddle gear we have for sale in our shop! Depending on your interests and ability level we can steer you to the best location by providing detailed maps and directions. What it’s like to paddle board at St. Pete Beach. St. Pete Beach is known for its beautiful, clear, warm water, which is perfect for SUP action. We love it and live it, so we’re always happy to share our SUP passion and knowledge. Our rates are more affordable than the rentals on the beach or at the hotels. Get more out of your vacation. Our boards are lightweight and easy to carry. A beginner-friendly sport that’s fun for everyone. We are dedicated to providing our customers with a high-quality, affordable stand-up paddle board (SUP) rental service. Whether you’re a seasoned pro or an absolute beginner, our paddle boards add a new dimension to your unforgettable Florida vacation. We offer top of the line, stand up paddle boards as rentals, so you are guaranteed a high quality board for your fun in the sun. Need some refresher tips or starting pointers? We’re happy to provide you with balance and paddling instructions with each SUP rental. We are located right across the street from the Gulf, on the main strip of St. Pete Beach close to all the major hotels. You can rent a paddle board from us, walk across the street to the beach and start paddling. Or, load it up on your vehicle and go to the beach of your choice. We also deliver in a limited area (Tierra Verde to Treasure Island). If you’re on vacation and don’t have a car — let us come to you!